Guitar can be played either by listening, watching or reading, and every method has to be practiced, developed and followed because each method has its own merits and features. If one develops sight-reading then certain exercises are to be focused to keep it locked with memory. Western musicians are always caught by surprise at the intellectual ability of Indian classical performers performing continuously for hours and hours just depending on memory (Indian classical musicians are superb in aural/ear skills.). Also musicians back home are awestruck at the well-timed play of hand and eye in synch by western classical performers going through the written piece. Both styles vary in nature, training and overall development of a musician’s personality. There are very few musicians blessed with both styles of experiencing music but there are plenty of good musicians, great listeners with extraordinary grasp of music yet they don’t feel the need to know music-reading. Various reasons why people avoid reading music? Few musicians believe that reading music is an indirect form of learning that cannot clearly focus/express on the ‘feeling aspect’ of composition as expressed by composer. There is a lot of difference in listening and absorbing a musical piece live as compared to reading it without the presence of a Guru (Teacher). Each and every aspect of music is not distinctly expressive and clear in notations. Many prevalent music styles are more difficult to express through staff notation and that is how they are independent and complete in themselves. Some good musicians adamant in nature prefer being confined to a certain but limited boundary. Age and professional arena is among few main factors that lead them to avoid music-reading. Many professional platforms have no need of reading notations. As observed few beginner students are slightly apprehensive about being classical and exploring the depth of music. Many successful and top class musicians are not dependent on reading music and they are not anyway incomplete. There are various substitutes and notation shortcuts today that it’s no more a compulsion for everyone to learn to read music. The statements mentioned above discloses most of the myths and facts that are generally responsible to avoid staff notation learning. The first three statements are true beyond any shadow of doubt as Notations and Music sheets collections cannot help you to be a Musician, it is what is inside you that is expressed and reflected as Music and it’s never a victim of reading at anytime. Remaining statements are more myths that disclose the fear of a beginner or layman out of ignorance. Divorce or discard the myth, as age may be the culprit to learning process. One should not limit oneself to just one way to rehearse musical notes rather he should have a wider vision with musical mindset. 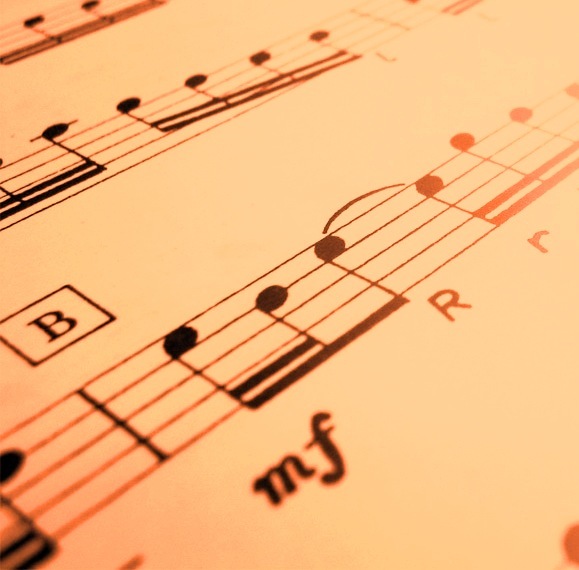 Read Article 2 # – Learning Staff Notations – Why should people learn to read music? i have already registered on your site to have the curriculum details and i also had a telephonic conversation with one of your staff members. But i havnt received any correspondence via email or otherwise in this context especially the course syllabus and the fees involved. you are requested to send me the details along with the sylllabus as soon as possible. Thanks and regards.